See more objects with the color lightgrey rosybrown grey darkolivegreen or see all the colors for this object. This is a Sidewall. It was designed by Robert Schneeberg and manufactured by United Wallpaper Inc.. It is dated 1953 and we acquired it in 1954. Its medium is machine-printed. It is a part of the Wallcoverings department. 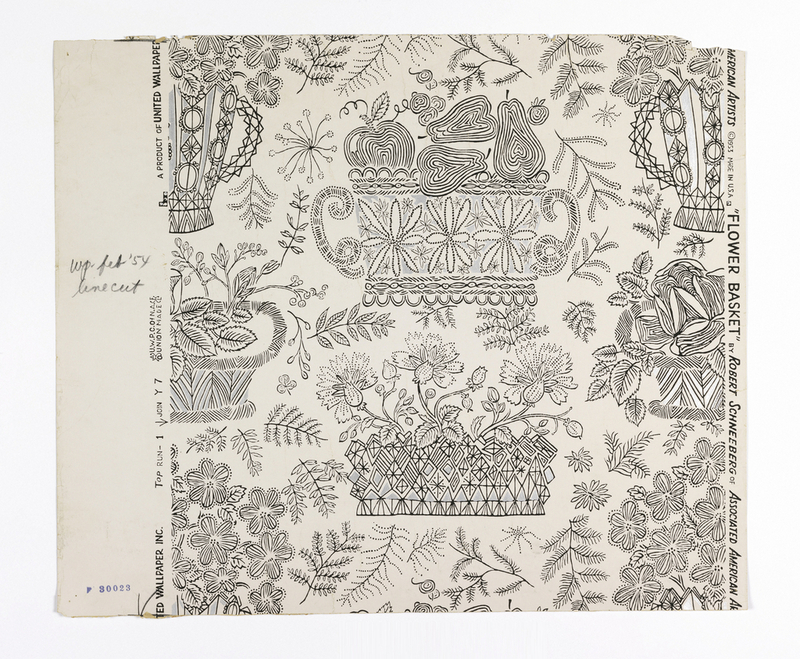 Printed in right selvedge: "Flower Basket" by Robert Schneeberg of Associated American Artists (copyright symbol) 1953.